With the holiday party season starting, now is the time to start thinking about all those delicious holiday desserts! Actually, I dream of desserts all year long so this really isn’t anything new for me; in fact, I’m eating a handful of chocolate chips now! I will be baking cookies later today…if I don’t run out of chocolate chips before then. 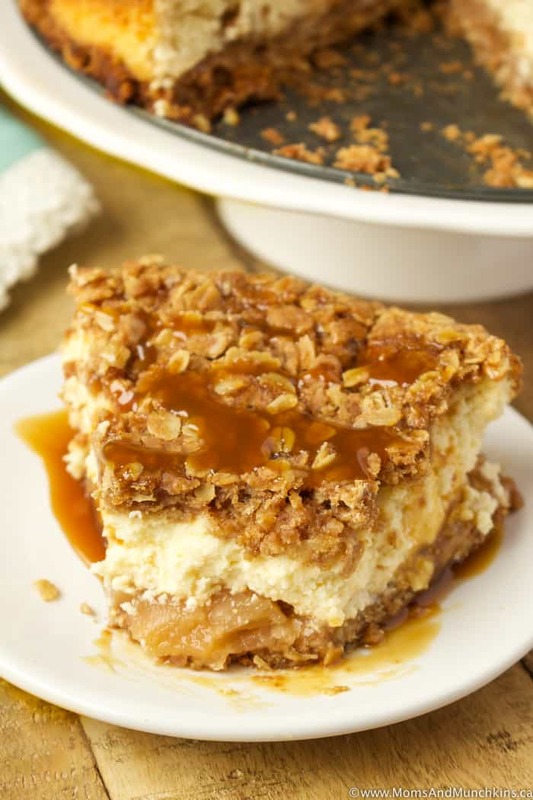 Anyways, back to today’s delicious dessert recipe – Apple Crisp Cheesecake! 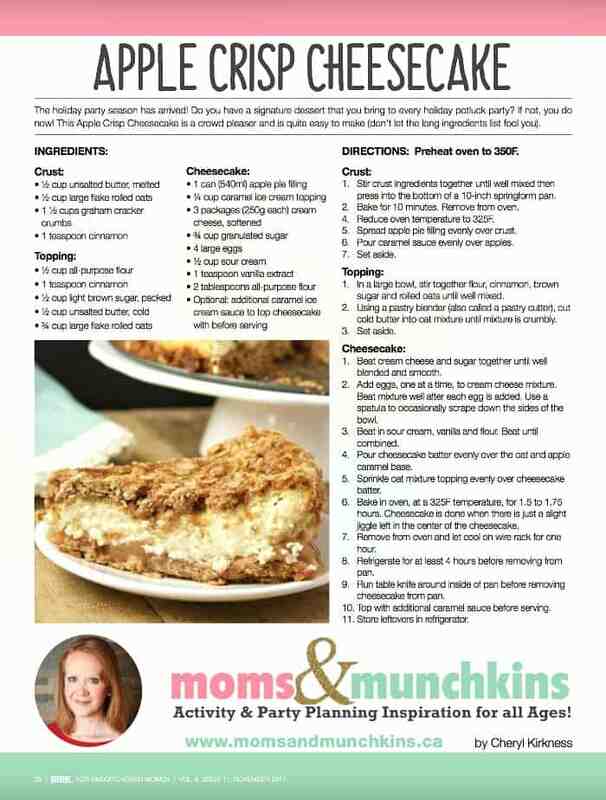 This is my latest recipe feature in Pink Magazine so you can grab a free copy on newsstands now or view & print it online. 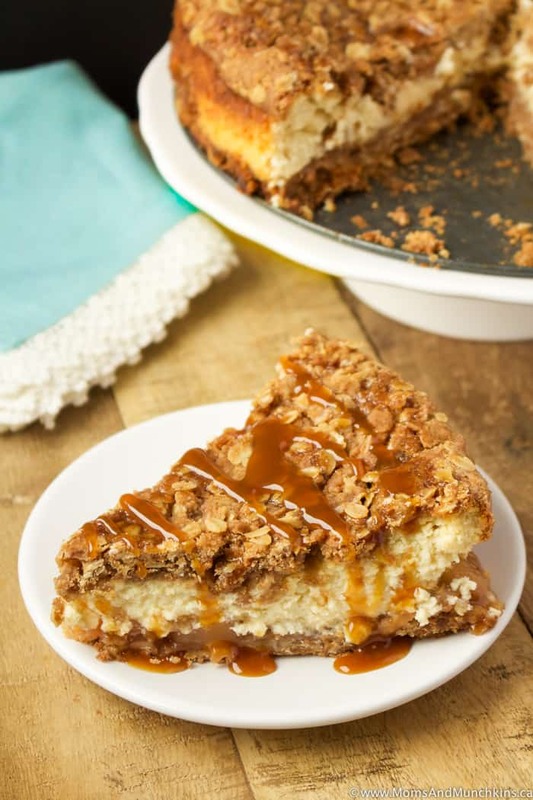 So this recipe is exactly as it sounds – an oat & graham cracker base topped with apple pie filling and caramel, a thick layer of delicious cheesecake then topped with a chewy apple crisp oat topping. Drooling yet? You should be! 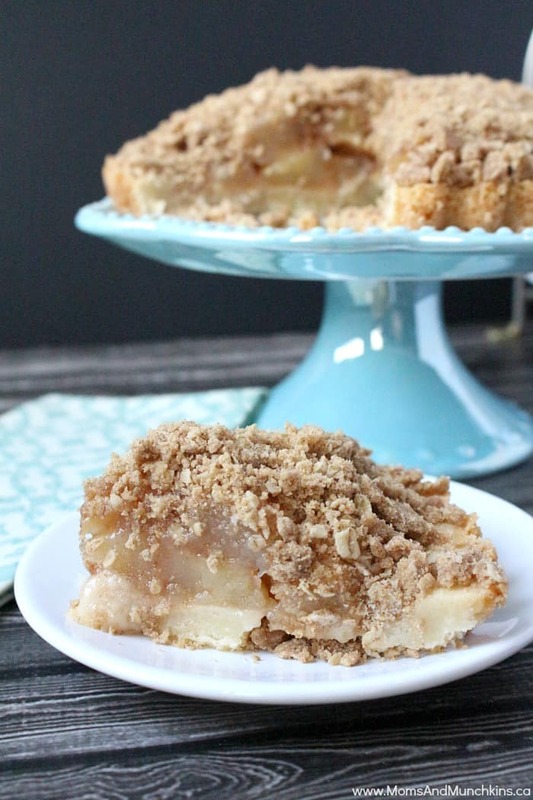 This Apple Crisp Cheesecake is so tasty! 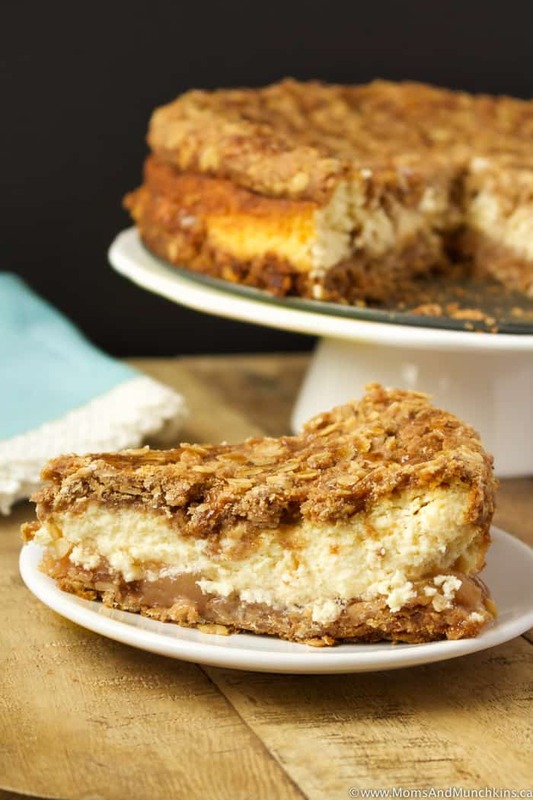 This is a heavy cheesecake so a small slice goes a long way making this a great dessert to serve a crowd. Don’t get me wrong, I could sit down with this cheesecake and a fork and eat half of it while catching up on the latest This Is Us episodes but it’s better to share with friends and family. After all, this is the season of giving, right? Right! 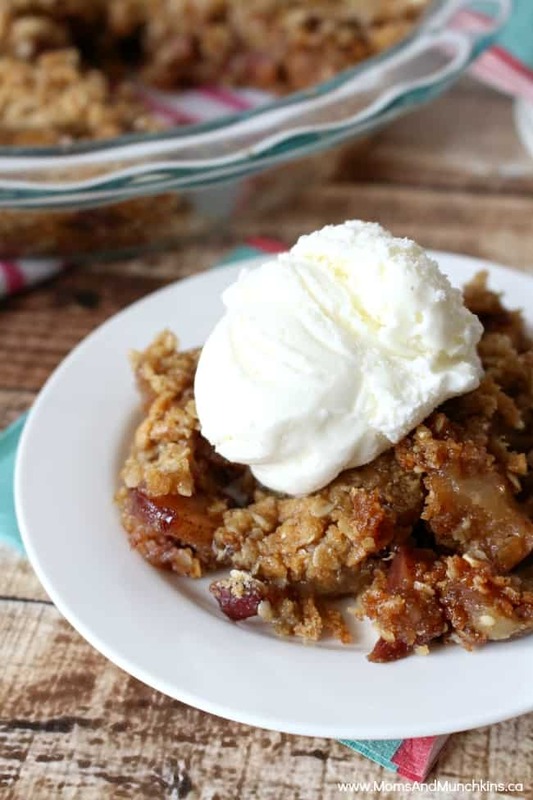 To view & print the Apple Crisp Cheesecake recipe – pop on over to Pink Magazine. 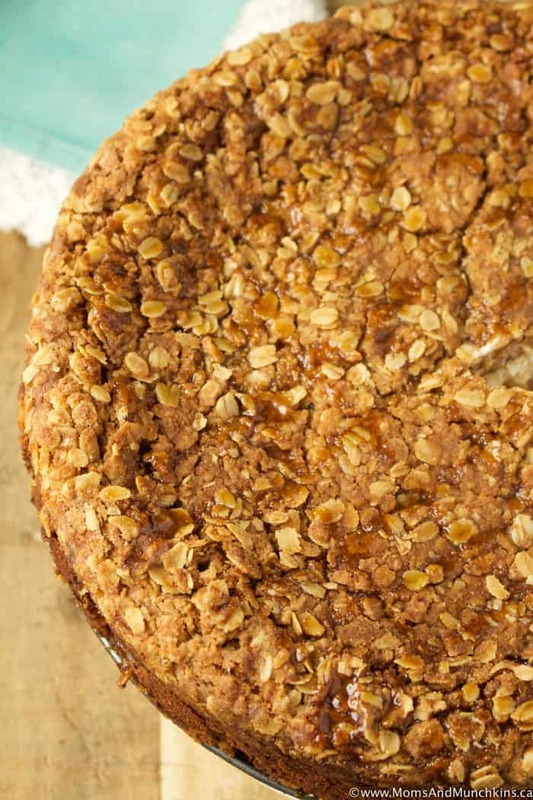 Caramel Apple Crisp Pie – because caramel and apple is always a winning combination. 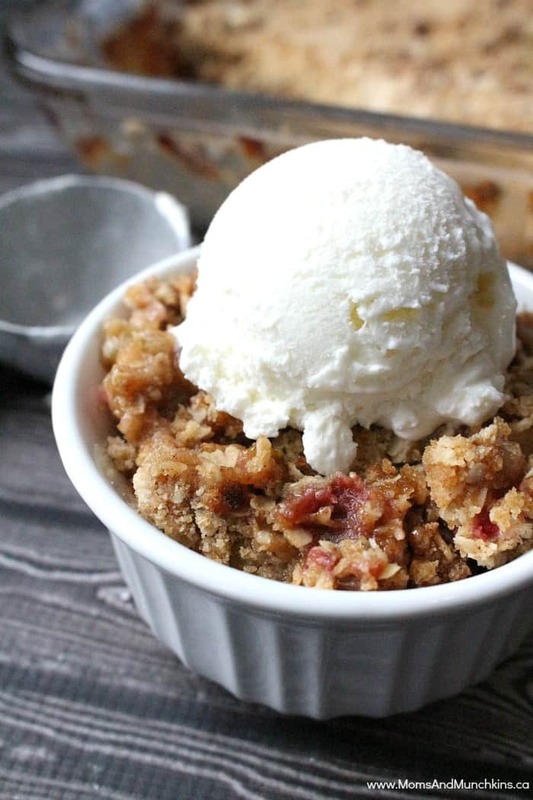 Apple Rhubarb Crisp – an old family favorite. Pear Tart – this tastes just as delicious when made with apples. For more delicious ideas, visit our Recipes page. We have recipes for breakfast, appetizers, dinner and dessert. Stay updated on the latest home entertaining tips and recipes by following us on Twitter, Facebook, Pinterest and Instagram. Ooh this looks and sounds amazing!